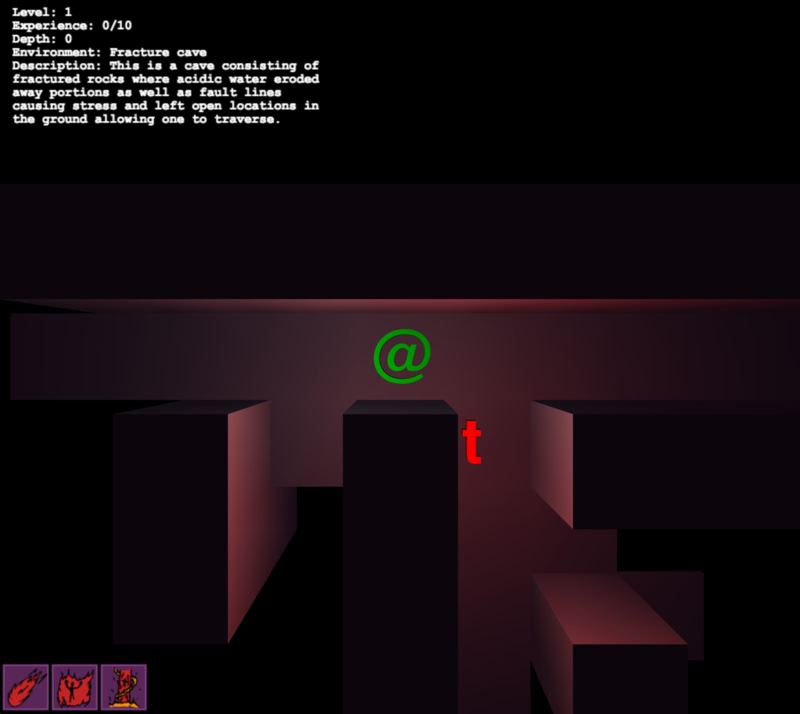 I've struggled with the concept of merging the roguelike turn-based system with a FPS. Having a turn based on when you fully leave a cell makes the monsters seem jumpy which doesn't make for very nice gameplay. Because I believe turn-based systems are core to roguelikes and first person shooters can't be turned based in a cohesive way, I've dropped the FPS perspective altogether and pulled the camera above the player. 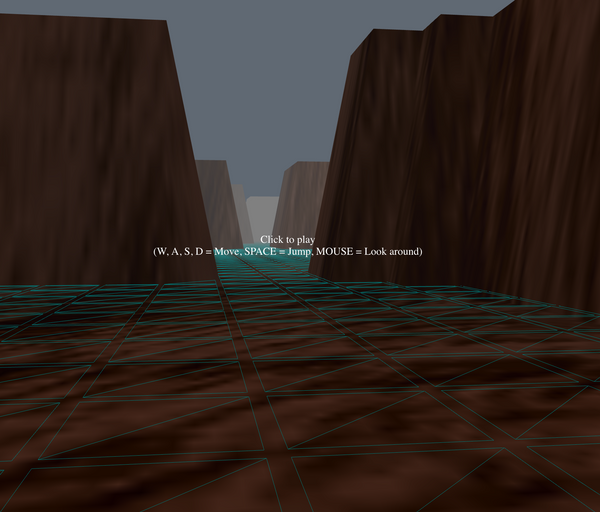 Dropped the morphed terrain map for a scene that grows collections of boxes and planes as the map is discovered. Maps can now be infinitely grown in size. 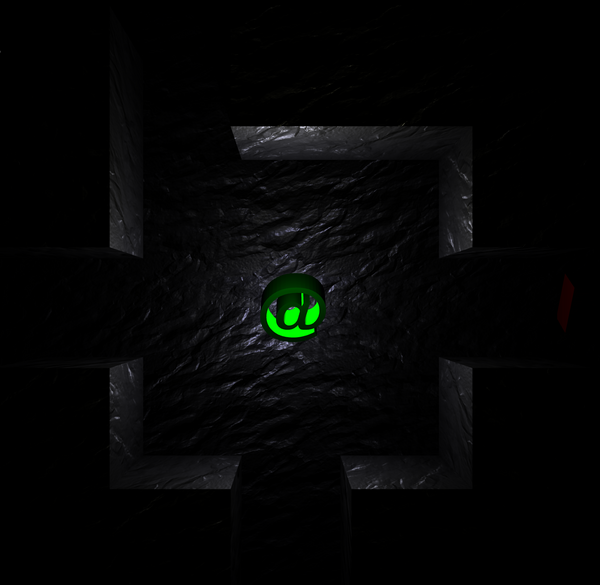 Added environmental colors to the walls and floors to make it feel more distinct that the player is indeed in different locations with each environment. Enemies now glow red so you can see them coming around corners, it looks positively freaky when you realize that symbol is a dragon!\n * Modulated the field of view algorithm so it generates the map as the player explores it. Added a few skill buttons that don't really do anything yet, they're just placeholders.